Is the Cthulhu Mythos Real? I was a sophomore in high school when a senior told me about how he and a few of his friends had cast a weather manipulation spell from the Necronomicon. Now by this time I had only read two of Lovecraft’s stories (The Outsider and The Dunwich Horror) but I did have a copy of The Book of Lists which had the Necronomicon on its list of books that were not real. When I brought up the fact that the Necronomicon was fictitious, he countered that not only was it real, the spell he had cast had succeeded. Now there is a time tested rule that senior beats sophomore in high school arguments, so I officially lost that argument. But it wasn’t the last time that I had heard someone say that part of the Cthulhu Mythos was real. If H.P. Lovecraft was the ultimate atheist, a true materialist who didn’t believe in anything unprovable by science how did a small percentage of his reading audience come to believe that the creatures and deities he wrote about were real? To answer this question we have to define the term ‘real’. There are several different versions of real that we could use in the content of this discussion. One is just what we normally mean when we say the word real, that the things HPL wrote about such as Cthulhu, Yog-Sogoth and Shagoths are actual physical things that can influence and can interact with our world. A second concept is the possibility that even if their origins are fictitious they can they influence our world. And the third possibility is, did Lovecraft take entities and deities from an actually mythology and use them in his writings? I am going to address those possibilities in reverse order. Was Lovecraft inspired by a real mythology and its inhabitants? Very few people believe that the Greek gods are real, but then again no one thinks that Rick Reardon made them up for the Percy Jackson series. The basic answer to this question is no, almost everything HPL wrote about was original. Now he wasn’t beyond lifting names from classical sources, like Dagon, Hypnos and Nodens, but by the time Howard got hold of them and gave them his particular makeover the only resemblance they had with their classical counterparts was the name. Now normally that is a great insult to a writer saying he has no real knowledge of his source material, but in this case it is a testament of Lovecraft creativity and ability to adapt things into his stories. Next there is a group of people called chaos magicians, who believe that they can bend reality to their will. Many use what Lovecraft wrote about as archetypes to cast spells, they still acknowledging there fictitious origins. I know very little about them them, and have to admit I am not really qualified to express an opinion. I am told that many chaos magicians use Lovecraft in their incantations, but understand he was writing fiction. It seems to work for them, so who am I to say anything against their belief system. Now to the meat of this post, was Lovecraft trying to warn us of real cyclopean tentacle terrors? Are the believers in the Mythos right? Now before I answer this I have a question who are these people who thinks it is real and where did they get their ideas from? One group of believers is some conservative Christians, who state that Cthulhu is a real demon. I recently saw a movie called Dark Dungeons based on an anti-roleplaying tract by Christian cartoonist Jack Chick. Though in ways it is very subversive (I doubt that Chick had in mind the lesbian subtext in his original story) in other ways it is true to the feel of the original tract. 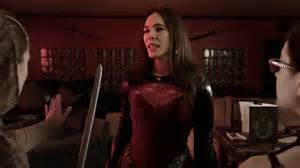 In DD the heroine has to denounce role playing games to prevent Cthulhu from rising from its watery grave. After the screening during a Q&A I asked director JR Ralls why did he chose Cthulhu for the story. He explained in the Chick-verse Cthulhu is real. He had a minster on staff to prevent the movie form being to anti-Christian, and the only real complaint, the Chaplin had, was the addition of Cthulhu. But then he had the minster look at Chick’s website, where there was an article written by another person, but approved by Chick, that said one of the reasons RPG’s should be avoided is because “Cthulhu and the Necronomicon are real.” The minister didn’t have another objections to use of Mr. C after that. Mistress Frost is going to summon the big squid with D&D. Some people who believe in Cthulhu come from the other side of the isle too. Anton Levey mentions them in his book The Satanic Bible. But in his excellent article “Levey Satanism and the Big Squid” J. Gordon Olmstead-Dean points out that doesn’t mean that Cthulhu was real or evil, but that Levey was in reality a spiritually immature person who had no problem stealing from works of fiction to create his religion. A third category is HPL fanboys who want all of it to be real. Back in the early 80’s I remember hearing about a fanzine dedicated to people who thought Star Trek was real and that they were Klingons who just happened to get reincarnated on the wrong planet. This might seem crazy and maybe even a little sad, that someone would think that a nihilist world like the one in CoC would be superior to ours, but sometimes driving to work I think that a Romero zombie world would be superior than what we got going on now. Better than going to work. I think it is important to say that there is no evidence that Lovecraft himself believed anything he wrote was based on reality. I have heard that we have more surviving letters of HPL than any other human being that lived. This maybe an exaggeration but, because of August Derleth and others preserving all of Lovecraft’s writing after his death, copious amounts of his correspondences survive. In none of them is there any indication that he believed that what he was writing was real. In fact there are more than one letter where he told a fan he made up the Necronomicon. 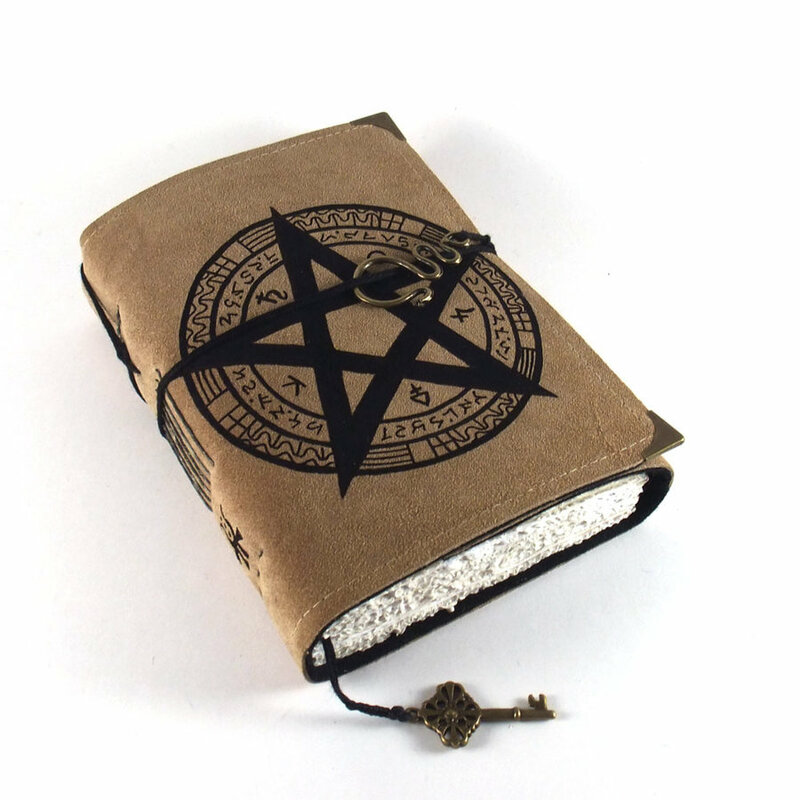 The one artifact that people point to supporting the reality of the Cthulhu Mythos is The Simon Necronomicon. Published by several different publishers since 1977, this book has never been out of print. It purports to be a transcript of a man calling himself “The Mad Arab”, a reference to HPL’s character Abdul Alhazred. Reportedly translated by an occultist who went by the pen name Simon, it contains Lovecraftian allusions combined with Babylonian and Sumerian Mythology. This is surely the book my friend in high school was referring too. 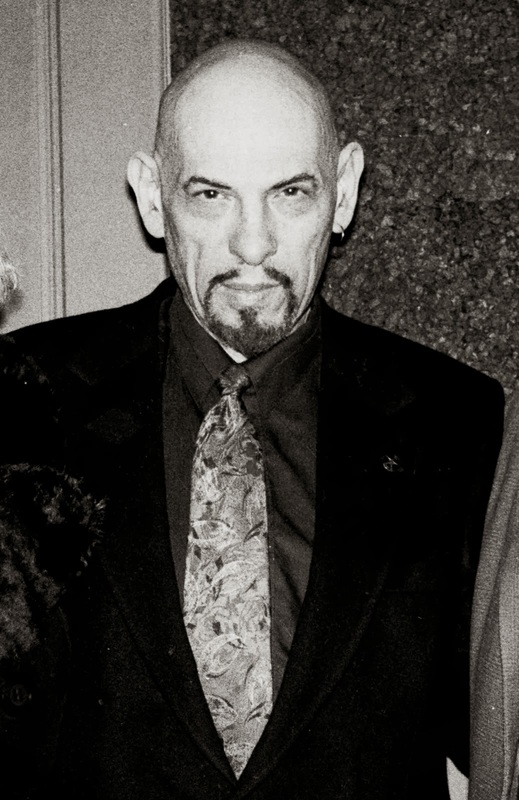 The book has dark reputation as being an evil grimiore and was used as evidence in several murder trials. A friend of mine recently told me that Powell’s Books has had to chain their copy to a display stand because it was the most stolen book in the whole store. I have thought of picking it up to fill out my mythos collection, and once even had it in my hands, but dropped it off before I got to the counter, not because I thought it was evil but because I rather spend hard earned cash on a collection of Brian Lumley short stories. I have no way other to say this than the Simon Necronomicon is undoubtedly a hoax. The book talks about a war between good and evil, a battle between the “elder gods” and ‘the great old ones.” Though these were concepts used by Lovecraft, his beings were impartial creatures who were beyond good and evil. The whole concept that the Cthulhu Mythos was a cosmic war between good and evil, did not exist until after Lovecraft’s death, when August Derleth began to codifying his hero’s works. The biggest evidence of the Simon Necronomicon was a twentieth century creation is that, there is no evidence of any discussion about a book called the Necronomicon ever being mentioned prior to HPL’s use of the title. There is no evidence of any Pre-Lovecraft usage of the word or the book by occultist or even a reference by the inquisition. The historical document that explained its origin as the Arabic tome Al-Azif to its English translation by John Dee (Queen Elizabeth’s astrologer) was created by Lovecraft as a form of back story. The backstory was spread around HPL’s writing circle so it was used by other pulp writers of the time, including Derleth, Robert E. Howard (Creator of Conan), Robert Bloch (writer of the novel Psycho), and Lin carter. These stories all being published in the pulp magazines of the twenties and thirties, by different authors made many readers believe they were referencing a real book. This was however a sly tribute by the authors to their friend Howard. So in the end it turns out that the Cthulhu Mythos is a work of fiction. Lovecraft mainly wrote for himself. He repeatedly said that he wrote the type of stories that he wanted to read. 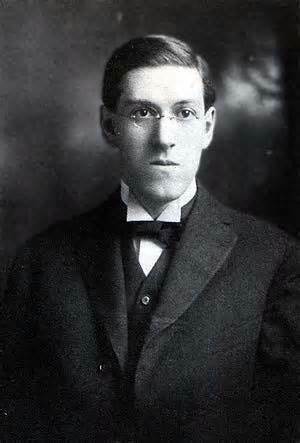 It is obvious that his visions and likes have influenced horror writing from Aliens to Steven King., but it has also been argued in The Cult of Alien Gods: HP Lovecraft and UFO Pop Culture that he has also influenced our occult world too. But in the end he wrote fiction for no one else but himself. I don’t remember if it was in the de Camp biography of HPL or “The Necronomicon Files” that HPL is quoted as saying that someone had proposed he write the text to the Necronomicon, but that he thought the result would be boring, or at least pale in comparison to what people imagine. Great point thanks for bringing it up. Is that not how we’re suppose to write for ourselves those readers coming second…? Honestly that is the only way I know how to write. LOL!!!!!!!!!!!!! I’ll take your word on that. It’s a testament to any writer that they can create a universe so comprehensive and plausible that people start to think it’s real or based on something real. And when they become an influencing force on other writers that elevates the original work to something with a ‘higher authority,’ and the plausibility continues to thrive. Very true I think that HPL himself would have a smirk over people thinking it is real if he knew. I think you’re right, and it’s sad. We’ve managed to separate ourselves from our own heritage and fail to grasp the rich history that we’re part of. When kids seek identity in the make-believe universe from a TV show, we’ve achieved the ultimate alienation (pun intended!) from who we really are. I agree anything taken to extreme came be dangerous. I wonder too what sort of role Metallica’s Call of Ktulu played in further mystifying Cthulu mythos. Two types of folks were into Necromonicon it seemed: metal heads and gamers. 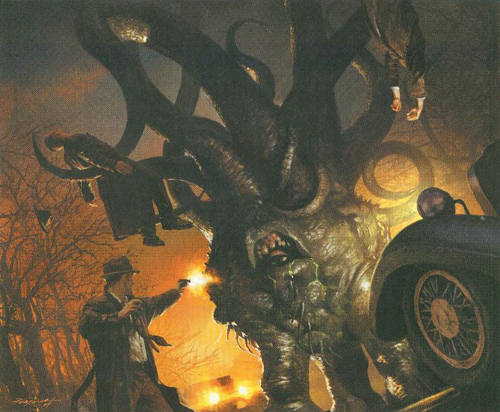 There is some overlap but the gamers often actually read Lovecraft and had seen that HBO movie Cast a deadly spell. Good point. Gamers got introduced to CoC, from the original Dieties and Demigods, that had a section about the mythos (until TSR got sued and they had to take it out) Then Chasium Call of Cutthroat became a thinking gamers alternative to Sword and Sorcery games in the mid eighties. I didn’t mention Metaliica because well I am not really into metal. I am only valley aware of the song and will have to explore their effect on the mythos fan scene. Very interesting article. 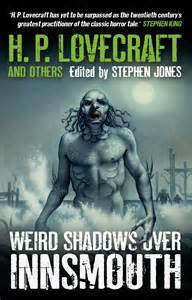 Though HPL’s Cthulhu Mythos stands on its own as a kind of “Extraordinary World” that later Mythos-fiction protagonists are thrown into, I’m also seeing the Mythos used as a kind of extended metaphor, or even allegory, to show what’s wrong with our world–social criticism–by figuratively equating our problems with Mythos entities or representing them allegorically by Mythos concepts. To put this another way, the Mythos has demonstrated some important literary functions as well. In this regard, I’ve been meaning to look at Joyce Carol Oates’ introduction to her own edition of selected Lovecraft works, though I have always found her own fiction writing too difficult to invest my time and energy. Maybe someday. A suggestion: Have you considered sponsoring a Lovecraftian or Cthulhu Mythos short story writing contest on your website? No entry fees, no monetary reward–just publication here on this site, and maybe a little bit of fanfare? Or perhaps essays on HPL or his literary descendants, interpretations of individual works, effects on modern culture? I am not sure that I have enough of a following, to sponsor a contest but anyone who wants to share fiction or essays on my site is more than welcome too. I still stand by this article but through my research I am finding a lot more nuance and history in HPL’s writing and plan to share more of that in the coming months. I’ll keep that in mind, when I get around to writing some relevant fiction or essays. In the meantime, I’ll check back here from time to time, and let others–not many around my community–know about this worthwhile website. By the way, I bought a trade paperback “copy” of the Simon Necronomicon about 15 or 20 years ago, but only just perused it before relegating it to my storage bookshelves. May check it out more thoroughly now. I sometimes wonder whether just possessing it hasn’t caused some misfortune in my life, but I’ve never been very superstitious in that way. If you see my name on the national news, you’ll know why! You might be interested in The Thomas Theorem: https://en.wikipedia.org/wiki/Thomas_theorem. With regard to Chaos Magicians, one of the central pillars of Chaos Magic is that belief systems are tools to achieve ends. Magic requires a belief system to be achieved, so you pick one that matches what it is you are trying to achieve, just like you’d choose a hammer to bang in a nail. In this, Chaos Magic has a lot in common with method acting; you have to get to the point where you believe it your self, and then be able to banish/discard it again when it has served its purpose. I’m trying to “like” this post, but I can’t find where to do it! As I understand it there was a connection between A. Crowley and H.P.Lovecraft, and on the surface it may seem HPL’s just a brilliant storyteller – but remember BOTH his father and mother were comitted to a psychriatric hospital and we know HPL was a troubled individual himself..
HPL must have had both an intuitive & scholarly comprehensive understanding of the occult, sorcery, mythology & secret societies – and night terrors and madness was something close to home for HPL… I would say he was surrounded by “darkness” at home, at school when he was young, and ofcourse AT HOME.. Theres got to be more to the story than an introspective boy/man with a vivid fantasy.. I understood that intuitively when I was getting to know HPLs writings as an adolescent.. But theres more.. First I wanna say to everyone : stay away from drugs.. I guess most of you people have heard about the “legal” highs.. the ‘bathsalts’ or the so called ‘synthetic marijuana’.. Well some years ago (and I do not condone drug use as such except for MJ, but thats another discussion) I had a horrifying experience on such a substance.. namely the substance AM2201.. I was of the impression astral travel was a MYTH propagated by new age gurus, hippies and occultists, so they could seem smarter than the rest of us.. I learned (the hard way) that astral travelling is indeed a 100% TRUE phenomenon, as I (after smoking a large dose) found myself being “pulled” out of my physical bodyby a kind of wire or thread connected to my third eye inside the skull.. I saw planets stars and galaxies disappear behind me at an ever increasing acceleration (which was an almost unbearable feeling), until I found myself in UTTER darkness.. There were no stars in any direction – only all-engulfing black darkness.. Most likely I astral travelled to the lower 4th dimension or the so called VOID..(my research on the matter is what led me to believe this to be true) where I met and was held imprisoned by demonic beings for the duration of the “trip” – feeding like parasites of negative emotional energy.. They were trapped in this horrific place, and they interrogated me as well as showed me a plethora of unspeakable horrors they wished upon humanity.. and they told me am2201 was a compound they had manipulated into synthesis(from the other side), because it acted as a bridge between our realities.. I was and I am still scarred by this event, although Ive learned to live with the memories of this experience.. They were all cyclopian by the way – ONE large eye in the middle of their ‘faces’ and looked very insectoid.. and jellyfish – like.. These were EXCACTLY as beyond good & evil (PURE EVIL is more akin to these creatures) and in retrospect I cannot even differentiate between the Great Old Ones and these critters.. They were trying to break through like HPL was telling stories about, into our world.. (This would be cathastrophic if they were to succeed…) and they manipulated through human proxies(like cultists?). Their goal was simply to annihilate, dominate, torure maim and kill everything living – but very very slowly.. and feed off all the suffering and negative emotions.. They were HUGE in stature, and grotesq to behold.. and im gonna stop there.. sry for my long rant, but this is very interesting and scary at the same time.. I think theres alot more going on beneath the surface with HPL, than what the world have come to know.. Sorry Im not mad, but I had to tell this story about why I believe HPL AND his familiy were actually heavily involved in black magic or sorcery, and that his night terrors and visions are based on more than simply “imagination”..
Best regards and thnx for the article.. This entry was posted on February 27, 2015 by davekheath in Uncategorized and tagged Cthulhu, Fiction, Lovecraft, Pulp, Strange, writting.